March 16 the FareWellDock team had another videoconference meeting. Partners from FI (3), UK (4), DK (4), SE (1), FR (1) and NL (1) presented and discussed progress in the various project’s workpackages. This will be the final year of the project. One of the joint activities is to produce factsheets on the FareWellDock project as a whole, aspects related to tail docking and tail length, the relationship between tail biting and health, enrichment, and the prediction of tail biting outbreaks. 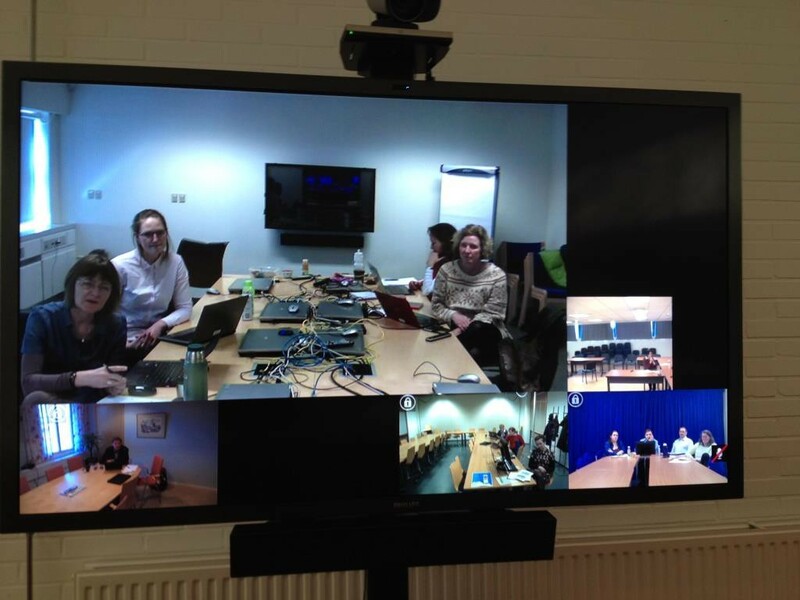 Further meeting scheduled for this year include a meeting associated with this year’s ISAE meeting in Edinburgh, a physical meeting in Denmark and meeting with stakeholders. There was an FVO visit to Finland on banning tail docking, where Anna gave a presentation. There is a new COST action, GroupHouseNet, on tail biting and feather pecking. There is a new ANIHWA project PigWatch (Hans Spoolder) “Combining the ‘eye of the stockman’ and precision farming techniques to improve pig welfare”. The EC had a recent meeting on tail biting, docking and enrichment for pigs. Several of the FareWellDock partners are involved in the writing of chapters of a new book on pig welfare. A lot is happening this year …. PigWatch is a new ANIHWA project. Tail biting and aggression between finishing pigs are injurious behaviours affecting health, welfare and productivity. Solutions to these behavioural problems have been researched extensively and include tail docking, provision of environmental enrichment and increasing group stability. However, their effectiveness differs considerably between research labs and commercial practice, and between farms. It is obvious that farmers themselves play a key role in the effectiveness of these ?standard recommendations?. Experimenting and sharing their experiences with scientists and advisors will help to progress existing knowledge into farm-specific tailor-made solutions. To facilitate the exchange of ideas, and to monitor the effects of these solutions, it is important that there is a common definition and description of injurious behaviours. 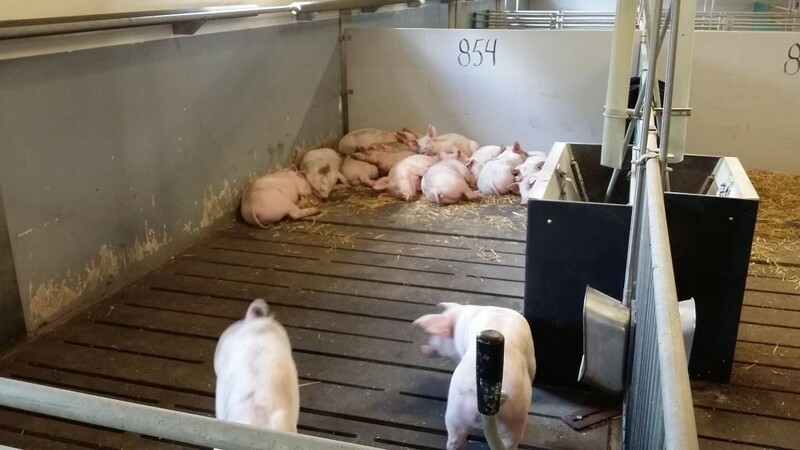 Therefore, together with pig farmers, PigWatch aims to develop and apply animal based measures to avoid the pain, frustration and negative emotional states associated with tail biting and aggression in finishing pigs. As a starting point the knowledge generated in FareWellDock and EU Welnet will be used, as well as national initiatives from the participating countries. PigWatch continues these developments at two levels: on-farm and at the abattoir. The first WP develops animal based warning signals to identify and, if possible predict outbreaks of tail biting or fighting on farm. This will allow farmers to respond to imminent problems before they get out of hand. It includes precision farming techniques for detection of behavioural activity, and lesion detection based on presence of haemoglobin. Finally, it develops protocols for visual scoring of behavioural and other warning signals. The second WP uses animal based measures to monitor tail biting and skin lesion incidence through routine automated data collection at the slaughter plant. The data will facilitate comparisons (bench marking) between farms, and monitoring the effects of solutions over time. The technology is based on analysis of digital images of live pigs and carcasses. This will be developed in a laboratory setting, validated on a slaughter house and tested in a commercial situation. The pig farming community will be involved through the whole project, via Farmer Focus Groups which help to develop and disseminate the innovative techniques proposed. PigWatch aims to do this in the five participating countries: France, Denmark, Switzerland, Germany and The Netherlands. Can tail damage outbreaks in the pig be predicted by behavioural change? Vestbjerg Larsen, M.L., Andersen, H.M-L, Pedersen, L.J. 2016. Can tail damage outbreaks in the pig be predicted by behavioural change? The Veterinary Journal 209: 50-56. Tail biting, resulting in outbreaks of tail damage in pigs, is a multifactorial welfare and economic problem which is usually partly prevented through tail docking. According to European Union legislation, tail docking is not allowed on a routine basis; thus there is a need for alternative preventive methods. One strategy is the surveillance of the pigs’ behaviour for known preceding indicators of tail damage, which makes it possible to predict a tail damage outbreak and prevent it in proper time. This review discusses the existing literature on behavioural changes observed prior to a tail damage outbreak. Behaviours found to change prior to an outbreak include increased activity level, increased performance of enrichment object manipulation, and a changed proportion of tail posture with more tails between the legs. Monitoring these types of behaviours is also discussed for the purpose of developing an automatic warning system for tail damage outbreaks, with activity level showing promising results for being monitored automatically. Encouraging results have been found so far for the development of an automatic warning system; however, there is a need for further investigation and development, starting with the description of the temporal development of the predictive behaviour in relation to tail damage outbreaks. Zonderland, J.J. and Zonderland, M.A., 2016. Behavioural change by pig producers is the key factor in raising pigs with intact tails (Editorial). The Veterinary Journal.